There are twelve Connecticut State Police troops located throughout the state. The locations of these troops were originally selected to position the personnel and equipment, so that each could maintain a system of patrols to cover its geographic area of the state. Each of these troops is like its own police department, with a lieutenant who is the commanding officer, a master sergeant who is the executive officer, a supervisory staff of patrol sergeants, a ciminal investigative or detective unit, and a full complement of personnel for patrol. The "resident troopers" in that troop area are also assigned to the troop. In addition, each troop has its own dispatchers and clerical unit, and most have one or more mechanics to service the fleet. 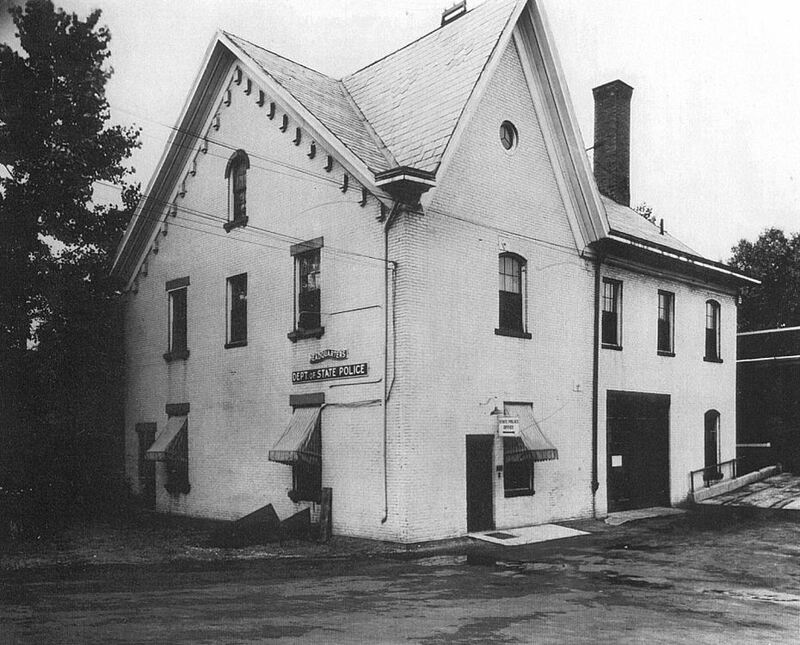 In the early days of the state police, the troops were also known as barracks because troopers did not go home at the end of their shifts, but stayed in bedrooms in the troops. There were kitchens/dining rooms and each troop had one or more cooks assigned to it. The troops also had their own cellblocks, usually with four cells, and many of these are still in use today. Today some troops, because of their location, are tasked primarily with highway functions, including enforcement, accident investigation, and traffic control, primarily on the busy interstate highway system. 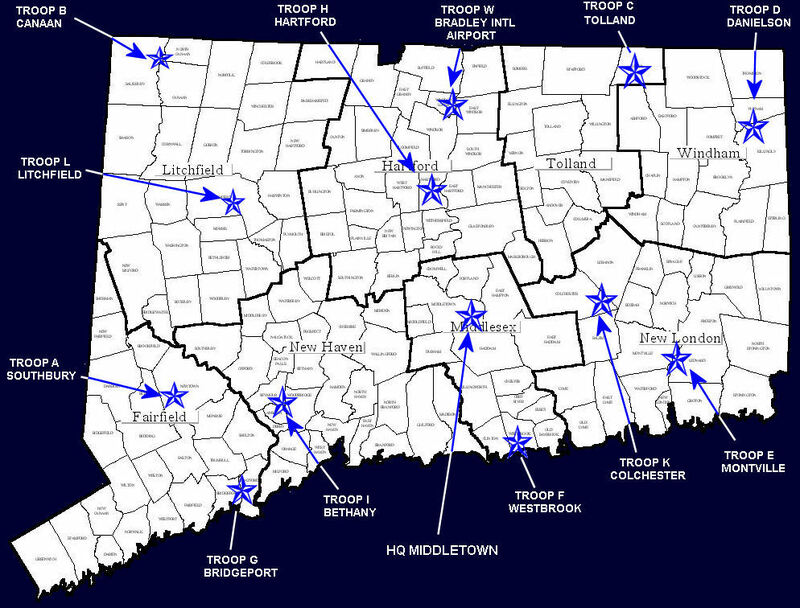 Other troops, located in more rural areas of the state, have as their primary function duties more commonly thought of as those accomplished by county sheriffs, ie: response to crimes, patrol of towns and neighborhoods, and providing police services to many Connecticut towns that do not have police departments of their own. 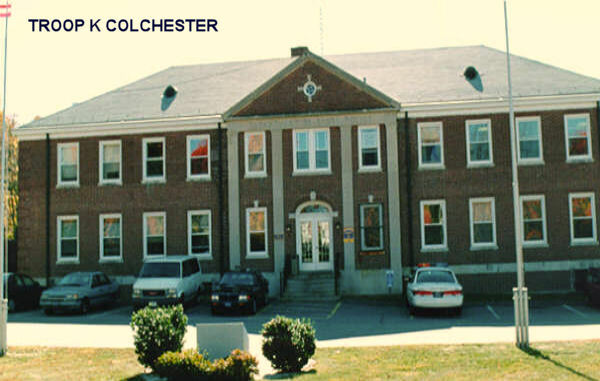 (Connecticut has no Sheriff Departments found in most other states; where they do exist their duties are limited to security in the courts and transportation of prisoners. The Department of Corrections administers the various prison facilities. Some of these towns utilize the services of Resident Troopers. These are regular members of the state police who are assigned specifically to one town. They provide the bulk of the police administrative tasks, such as supervision of part-time town officers. Most troops also have criminal investigative units assigned to them. These units, staffed by detectives, are satellite units of the major crime squads, which are positioned at the three district headquarters. 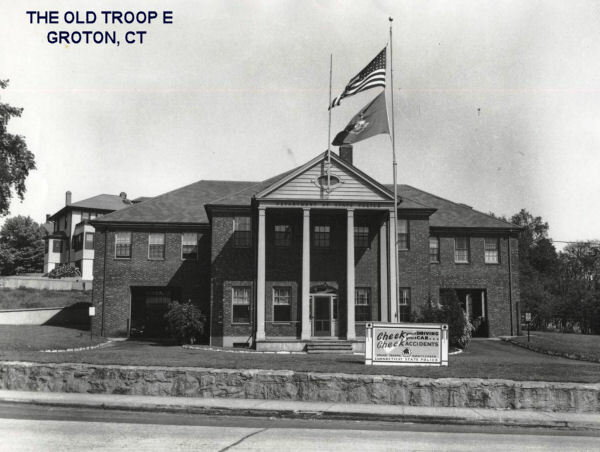 Troop W, located at Bradley International Airport in Windsor Locks, has as its primary responsibility the security of the airport, investigation of incidents, and compliance with Federal Aviation Administration regulations. It has working alliances with other agencies such as U.S. Customs and DEA. The Connecticut State Police Department also encompasses a multitude of other units, most of which have responsibilities in specific areas. These include the Statewide Organized Crime Investigative Task Force, the Statewide Narcotics Task Force, the Casino Unit, the Welfare Fraud Unit, the Criminal Intelligence Unit, the Fire Marshall Division, Training Division, a Licensing and Permits section, the Forensics Laboratory, a Photography and Identification unit, Fleet management & Purchasing, the Emergency Services Unit, including Aviation, Explosives, Scuba, Canine & Tactical Units, and others.